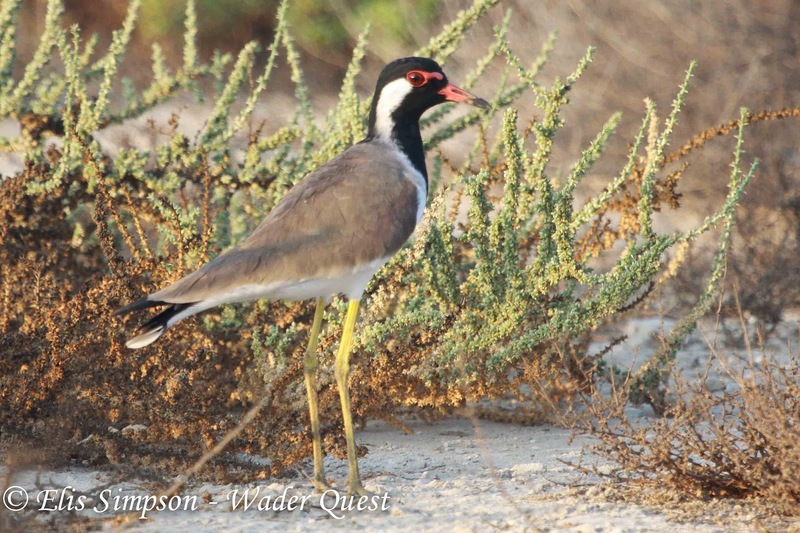 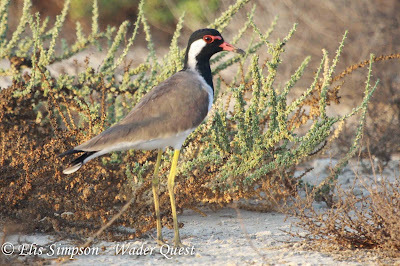 Red-wattled Lapwing, Dubai pivot fields, UAE. 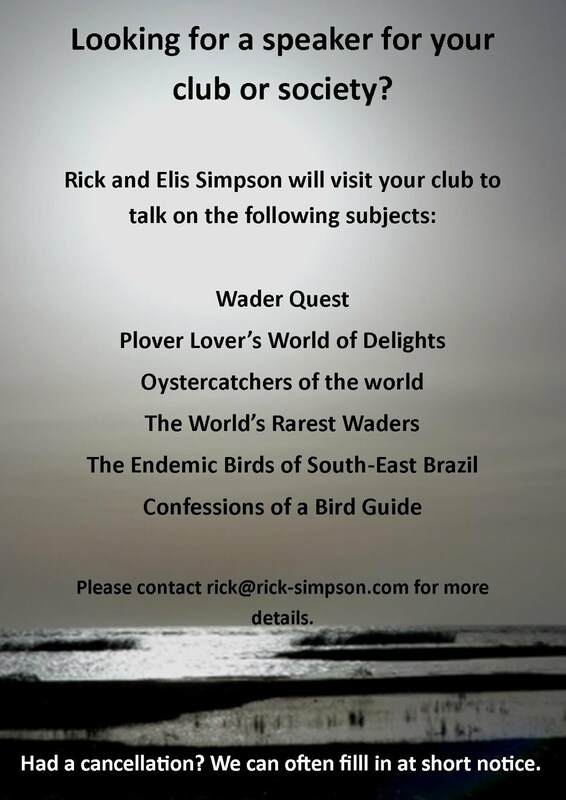 Again I will just put some of Elis's non wader photos here for now and do a full report on the Our Trips page when I get a chance. We flew into Abu Dhabi but stayed in Dubai about 1.5 hours drive north-east along the gulf coast. 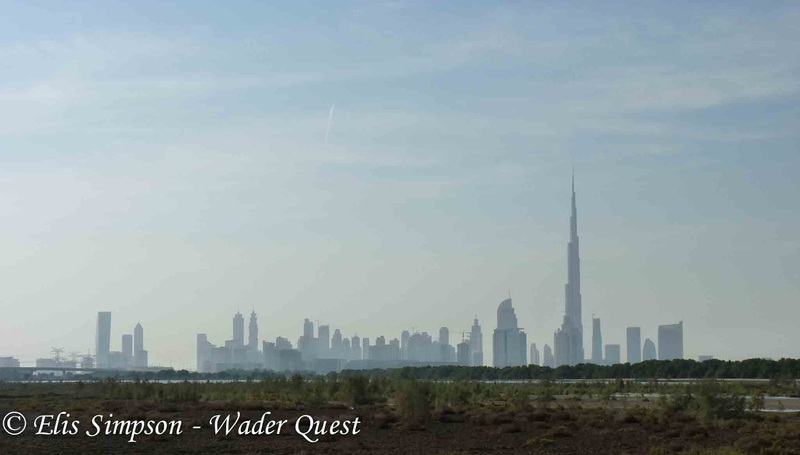 As you approach Dubai it seems to rise from the desert like a mirage. 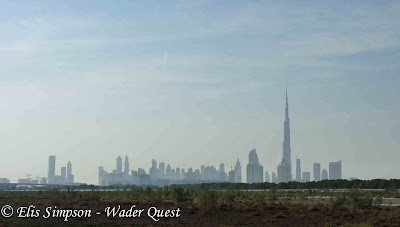 Dubai's distinctive skyline rising from the desert. 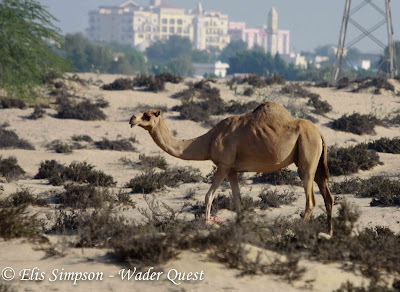 But there are reminders that this really is a desert location. 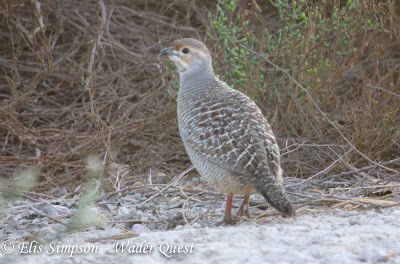 The Grey Francolin is a common bird and a classic desert bird. 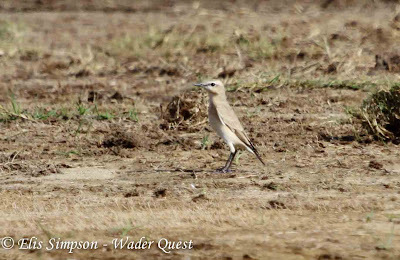 They were seen at most sites in small numbers particularly early in the day before it got hot and they had to hide from the scorching sun. 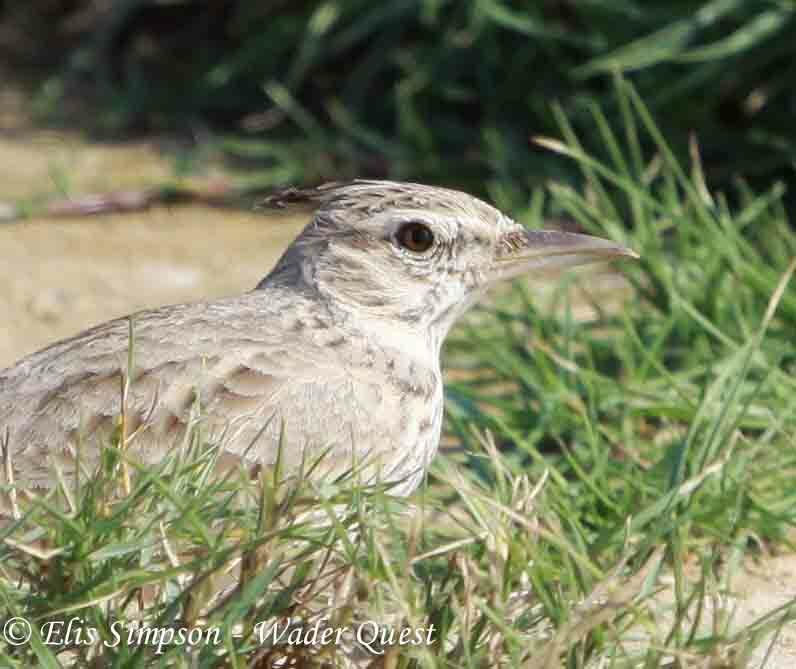 Larks pipits and wagtails were a constant feature on the landscape wherever we went. All the larks that we saw were Crested Larks. 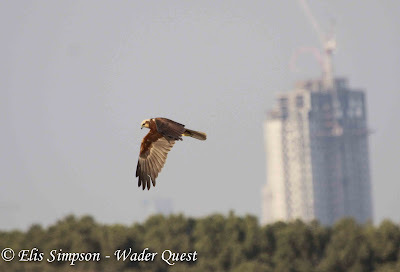 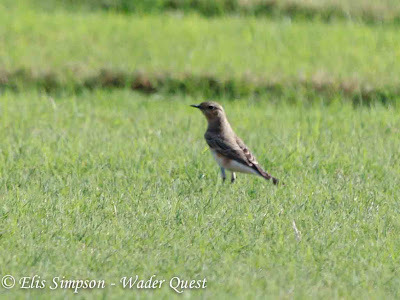 The pipits were predominantly Tawny, with a few Water Pipits for good measure and once we saw a Red-throated when we were with Tommy Pedersen, our friend who lives in Dubai. The only wheatears we saw were several Isabelline and a single Pied. 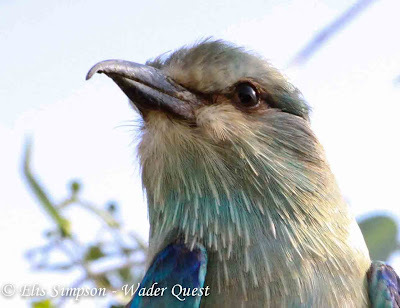 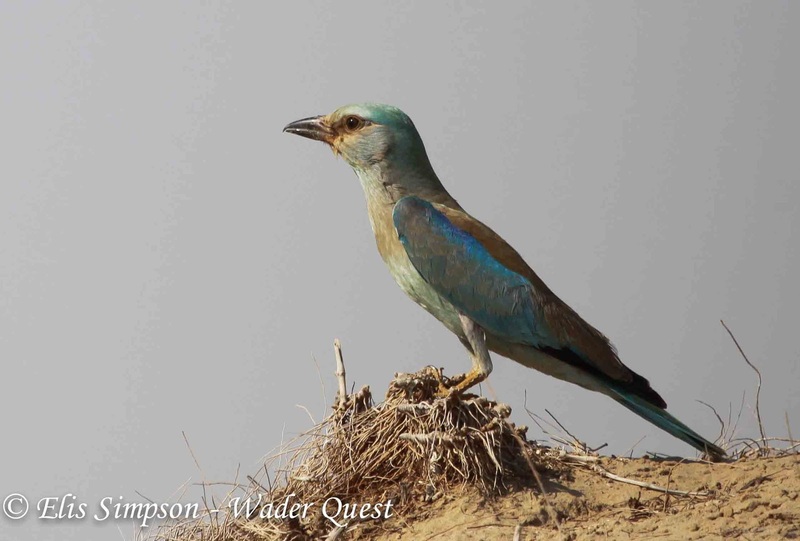 European Roller with deformed bill. 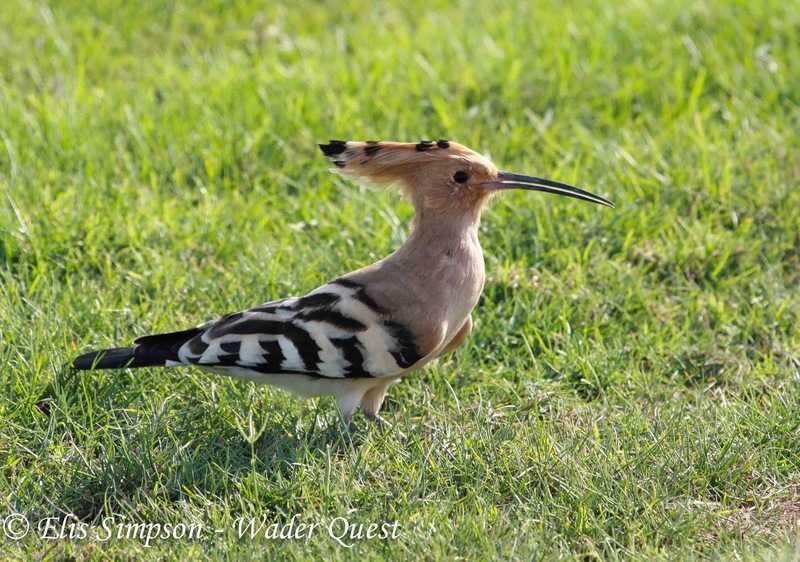 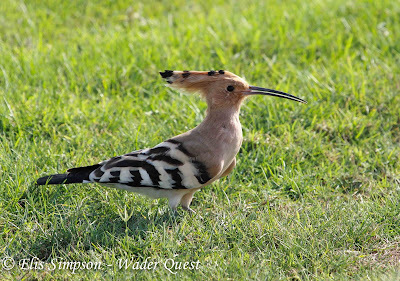 ...plus a few Hoopoes and the common White-cheeked Bulbul, a cracking little bird. 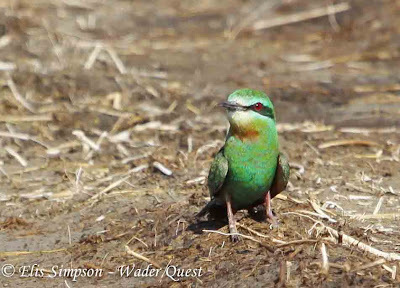 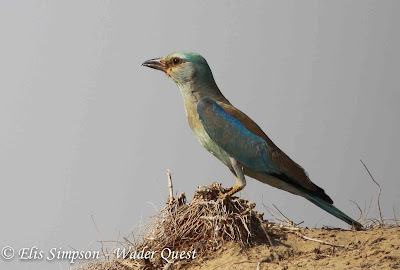 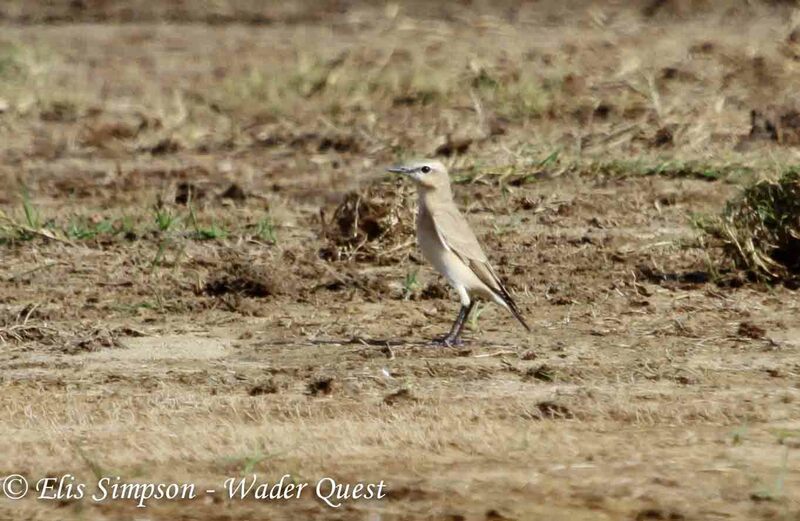 In addition there were the Bee-eaters, a few Little Green Bee-eaters and a single stunning Blue-cheeked Bee-eater. 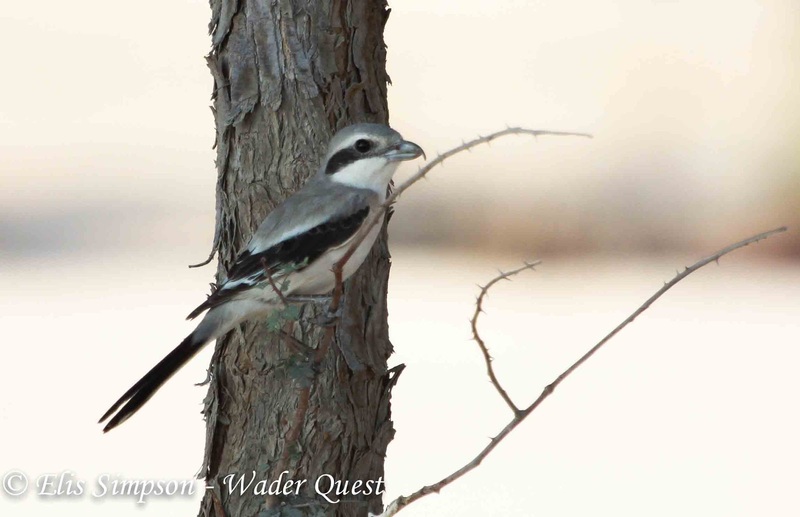 This Steppe Grey Shrike out in an appearance on the last day as we were leaving a wetland wildlife sanctuary. 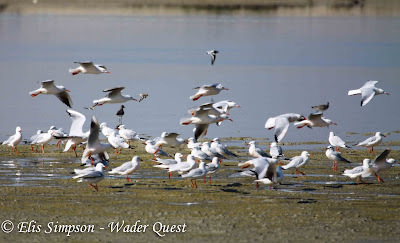 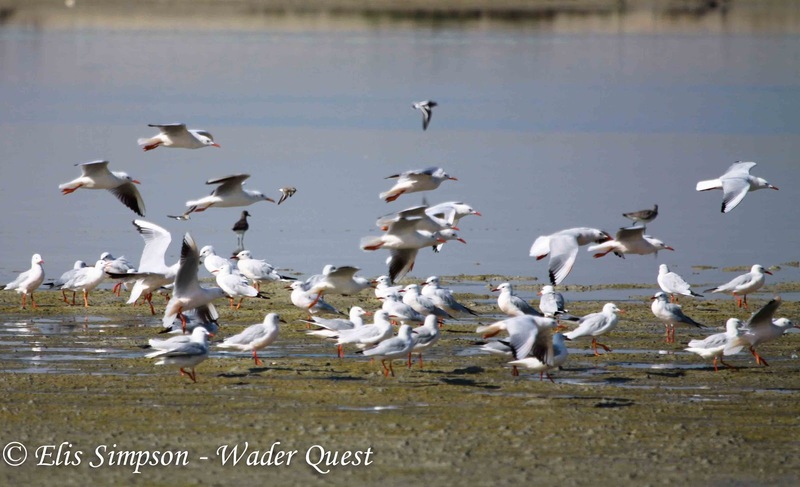 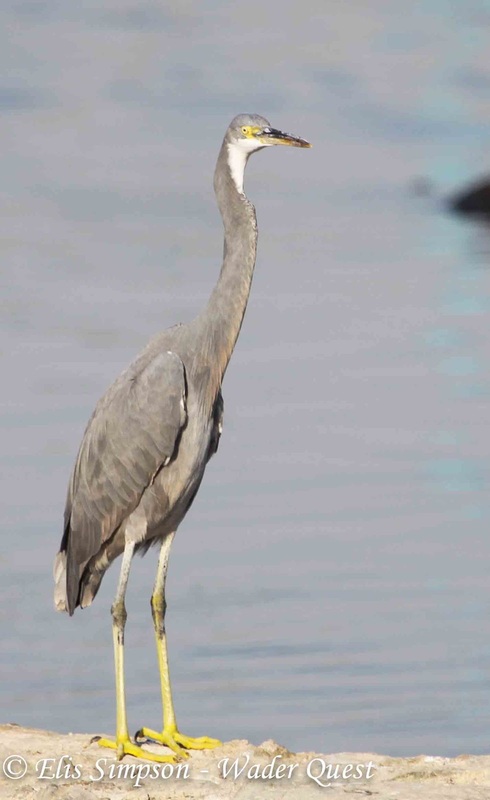 The wetlands held a few birds that were not waders such as these Slender-billed Gulls, a Marsh Harrier and among the more familiar herons and egrets this Western Reef Egret.